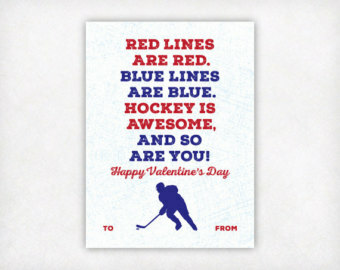 Valentine's Day is upon us Penguins' fans. Many couples are making plans for romantic dinners, floral shops are running sales on roses and candy companies stock values are about to spike. It is a day to remind that someone special in your life how much they mean to you. 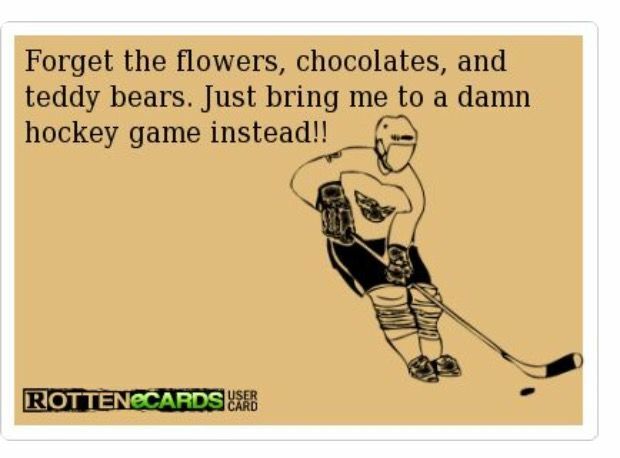 When your Significant Other is a hockey fan, however, things can be a little tricky. This Valentine's Day why not surprise your sweetheart with gifts and goodies all themed around their favorite hockey team...the Pittsburgh Penguins. Let's start out with a card. Even if your budget is tight, a hand made card shows that you still took the time to make your darling feel special. Try printing out one of these fun valentines and creating something that can be saved in a scrapbook for years and years. Breakfast is said to be the most important meal of the day. 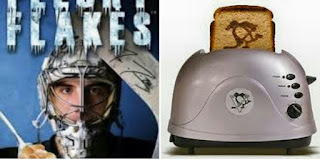 A great idea is to surprise your SO with breakfast in bed, perhaps with a box of Fleury Flakes. 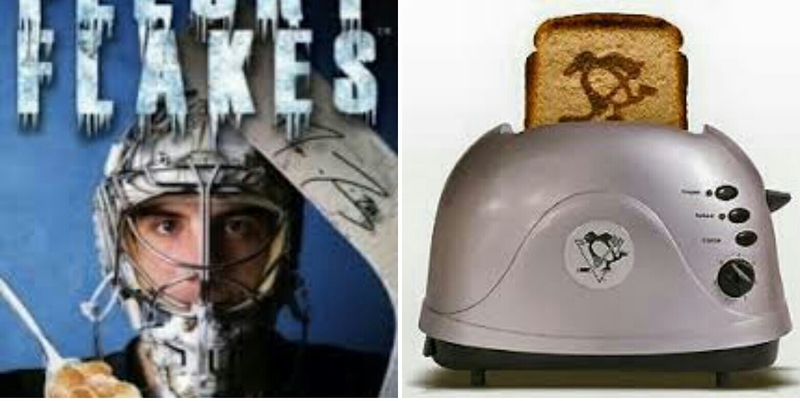 For the culinary inclined, serve them a warm breakfast sandwich on toast with the Penguin's logo baked onto it (don't forget the Dupuis Dijon for an added kick). After breakfast, a couple could take some time and unwind together and re-watch the glory of the 2016 Stanley Cup Championship season on DVD. 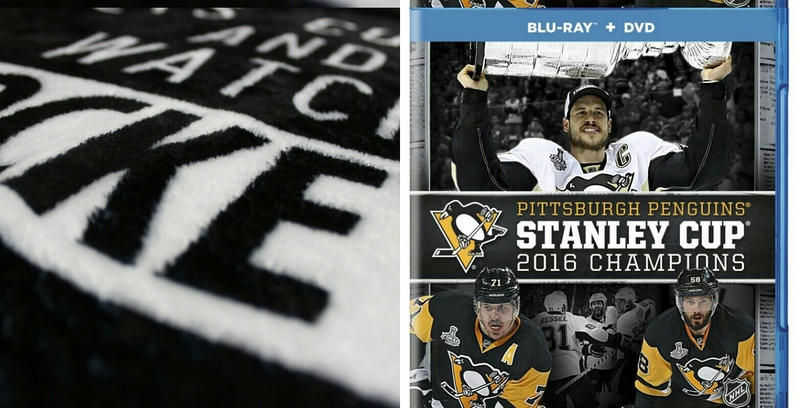 To make the experience better, I suggest getting beneath a fuzzy "Let's Cuddle and Watch Hockey" blanket. Chocolates are almost always on the list of gifts for this special day. Instead of the boring box of the same old crèmes and nougats, why not make up a small basket of hockey themed candies from Sarris'? Choose their preferred chocolate flavor and fill up a decorative basket with pucks, sticks (aka chocolate covered pretzel rods), Stanley Cups, even hockey players. Don't forget the newly released Kris Letang candy bars. All that food and candy can make anyone thirsty. 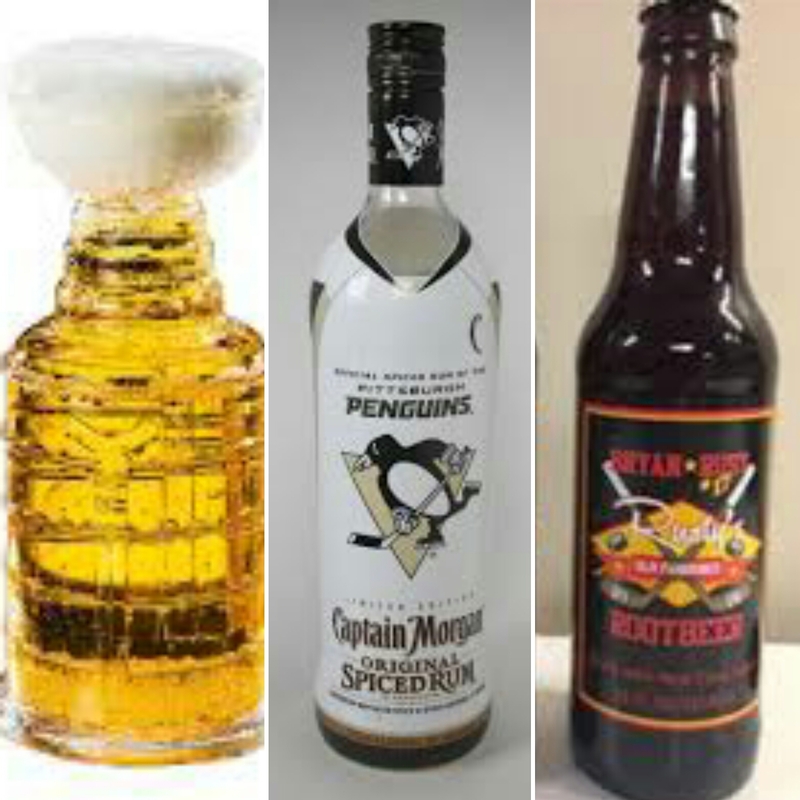 For the over 21 fans, serve your sugar a tall, frosty mug of their favorite beer in a Stanley Cup beer stein. Not into beer? 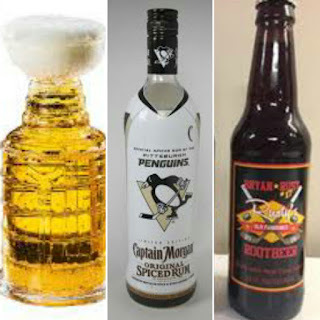 That's alright because you can always pop a bottle of Pittsburgh Penguins special edition spiced rum; straight up or mixed in a fancy cocktail. For those not of age or just not into anything alcoholic, throw a bow on a six pack of Bryan Rust's Old Fashioned Root Beer, grab some vanilla ice cream and double straw a root beer float like the good old days. Do you like taking road trips? 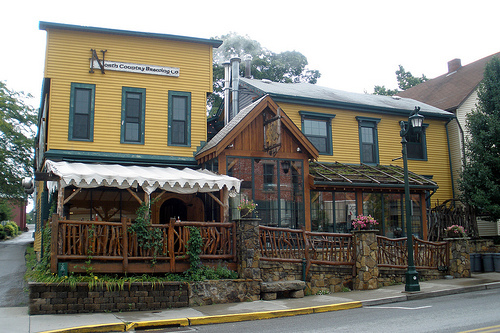 You could take your honey up to Slippery Rock, PA and pull up a chair at North Country Brewing Company. Their menu is full of delicious bites and house crafted beers such as the "Thanks Daaannn" (a Belgian-style wheat ale) and the "Ol' Two-Niner" Double IPA. Finally, if a more traditional approach is more your style, new team apparel, an autographed picture or puck or some jewellery can always be counted upon to bring a smile. 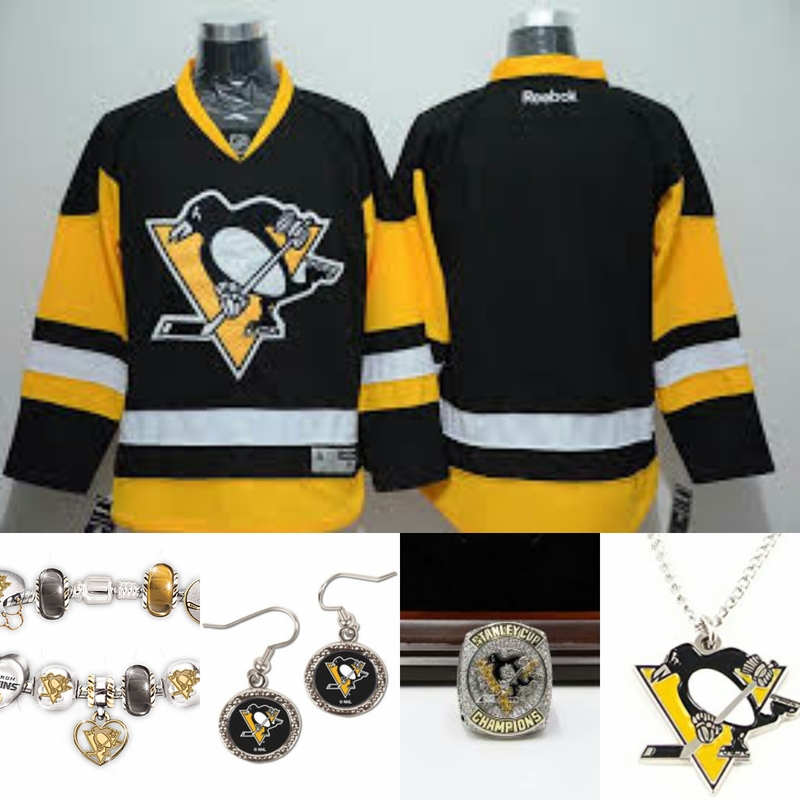 What Penguins fan would be displeased with a Stanley Cup replica ring or Pandora-style bracelet accompanied by a new jersey or original t-shirt? Perhaps you are ready for the next step in your relationship. A customized jersey could be used to pop that important question. Just put Mrs. "Last Name" on the back of the jersey and get down on one knee while the love of your life unravels it. Another fun idea would be to plan a fun engagement photo shoot and announce your wedding date with pucks and jersey numbers. Valentines Day, to some, is a silly day. Some people chose not to celebrate it and that is okay. For those that do, I hope that some of the things mentioned here come in handy if looking for that last-minute idea. If all else fails, you can buy tickets to a game of your significant other's choosing right here.